Libraries matter for Europe. And in turn, Europe matters for libraries. 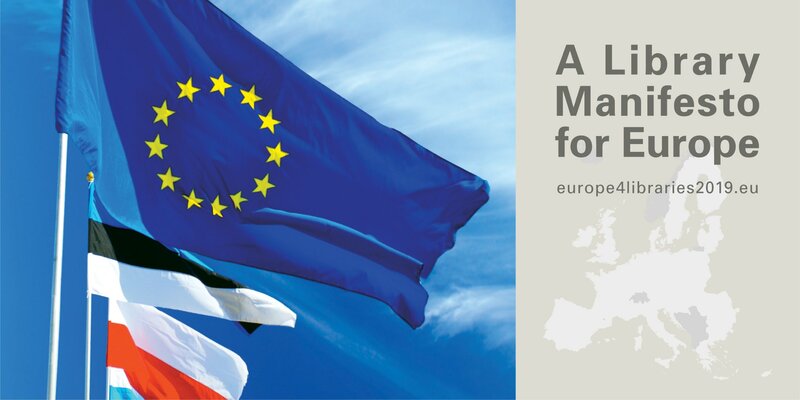 Organisations representing libraries across Europe – IFLA, LIBER, SPARC and others – have produced a great, concise summary of what libraries in Europe can stand for – whether in the EU or not, but with particular resonance for those countries taking part in the forthcoming European Parliament elections in May. Feel free to ask any prospective candidates how important they think libraries are! Visit the website at www.europe4libraries2019.eu to learn more and download the PDF.